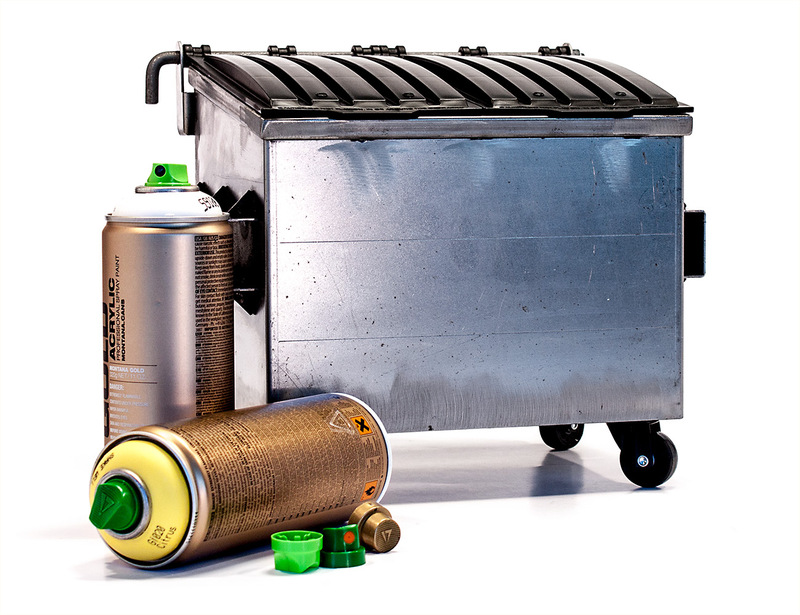 Thanks to the works of Shepard Fairey, Bansky and others, street art has become a collectible art form. 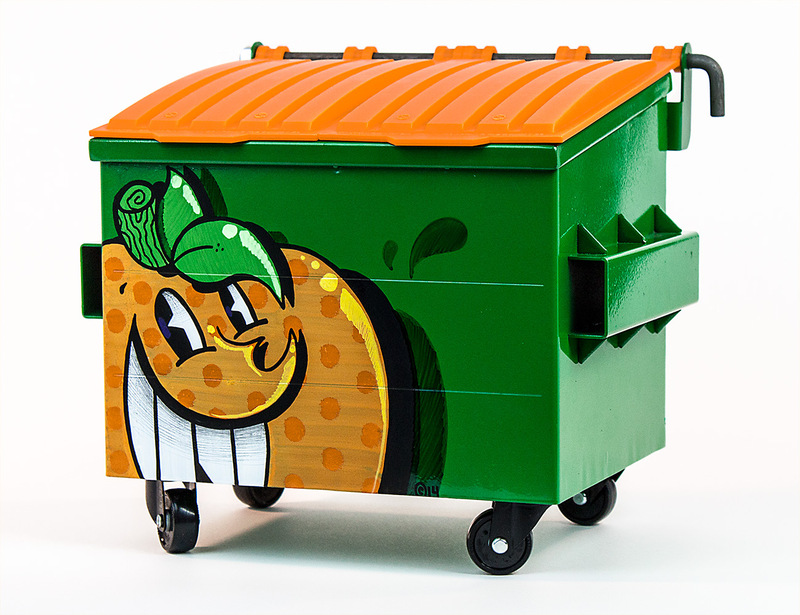 Now Dumpsty has teamed up with some of the most prolific street artists in America to offer a collection of hand painted Dumpsty dumpsters. 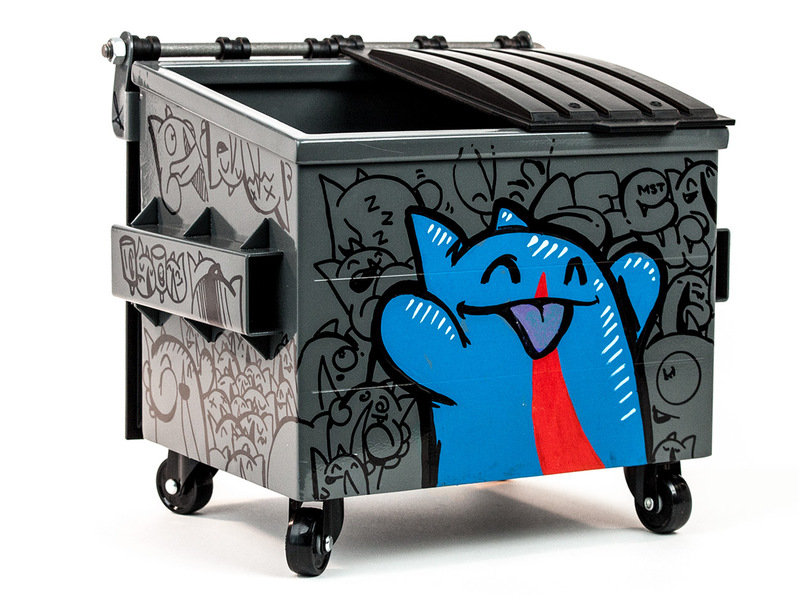 Each design comes as a signed, single-edition piece by artists including Atomiko, Robots Will Kill, ARREX, Nite Owl, Basic Lee, GOOPMASTA, and others. 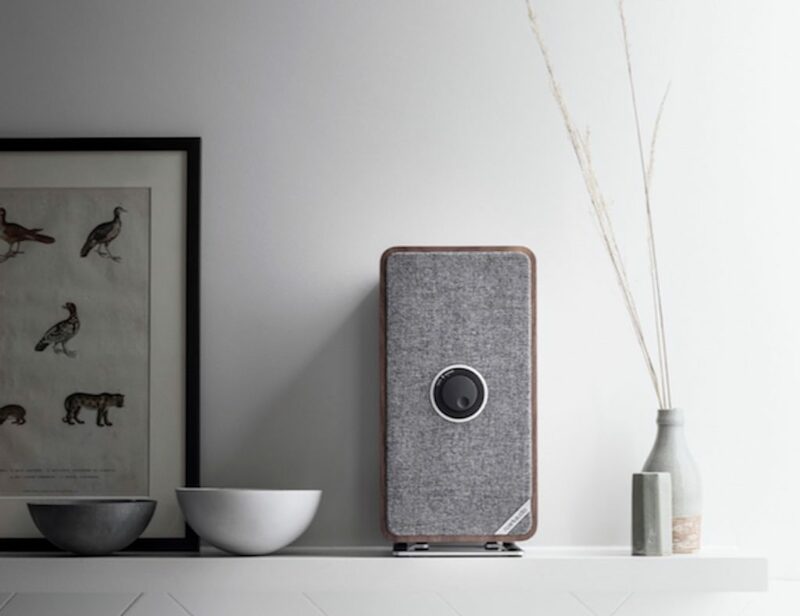 Dumpsty is made of recycled steel and measures 11 inches across – the prefect size for any desk, bookshelf, or gallery pedestal. 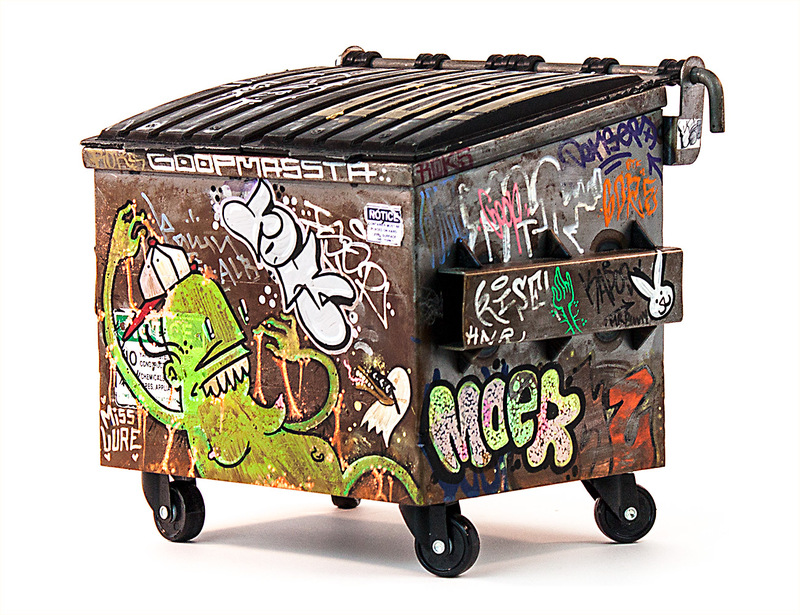 Until the end of the year you can save $100 off the price of any artist edition Dumpsty with the coupon code “art$100”. Unpainted blanks are also available for $85.